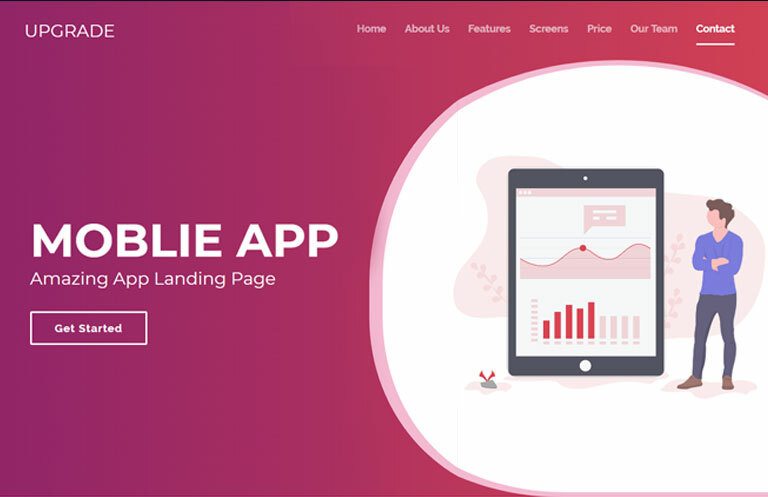 Upgrade Bootstrap Landing Page Template is a multipurpose landing page designed to showcase your web, mobile app, new products, modules, plugins and other. It is fully responsive and looks awesome on all types of devices (desktop, notebook, tablet, and mobile). This responsive website template is built with the latest Bootstrap framework, HTML5, and CSS3. This free template is available for Instant download. This land page is very clean and fast, also very easy to customize and setup. This entry was posted in App Landing Page, Bootstrap 4 Templates, Bootstrap Websites, Free Bootstrap Templates, Free HTML5 Templates and tagged App land page, bootstrap 4 landing page, Bootstrap mobile app, HTML app landing page, Responsive landing page. Bookmark the permalink.